The skater who made history as one of the first openly gay Winter Olympians spoke of his goals in an interview from 2003. 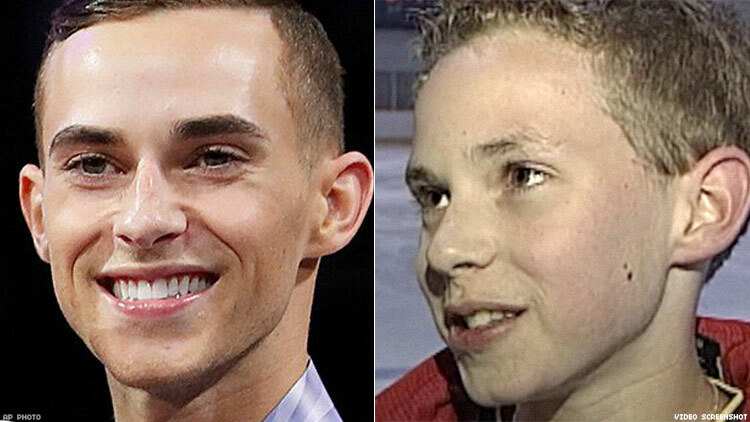 It’s a safe bet that so many have fallen in love with gay figure skater Adam Rippon since he made his Olympic debut with a flawless skate in the team competition this past weekend. Prior to competition, the 28-year-old made headlines for standing up to the infamously antigay Mike Pence, an apparent proponent of the dangerous practice of conversion therapy. In addition to making his beautiful skate in PyeongChang, Rippon has also announced he won't attend the White House reception held for the Olympians. Rather, he plans to hold a fundraiser for LGBT causes. He’s also been forthright about eating disorders among male skaters, a subject that is rarely ever discussed. Beyond his inherent activism, Rippon’s heart belongs to the ice, as evidenced by his command of it in his performances. And a charming interview of a 13-year-old Rippon discussing his love of the sport and his dreams of making it to the Olympics is proof positive that he’s right where he needs to be. Watch the interview that aired on a Pennsylvania TV station in 2003.